Get social. Meet Educational Social Media. DRPF Consults is pleased to share the most current, exciting and cutting edge work in the area of social media in education. 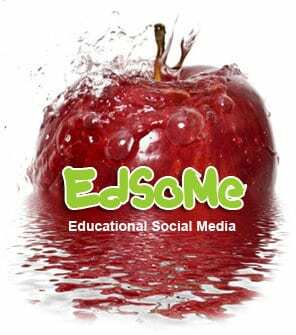 Educational Social Media (EdSoMe) explores social media in the classroom and provides workshops and resources about how to best develop a social media plan that fits the needs of your school and students. It’s an introduction not to forget and an interview to remember. In a few words, Karl Meinhardt is a technology strategist, author and leadership consultant. With over 20 years as a technology professional, Karl has served as a strategy consultant to many companies regarding information technology products and services. Mr. Meinhardt is also the co founder of EdSoMe and was kind enough to take time out of his busy schedule to address critical issues and questions regarding social media in education. Read more about Mr. Meinhardt. After hearing reader concerns about social media in education, DRPF Consults presented Karl Meinhardt with the following questions to learn more about the Portland Project, creation of EdSoMe, media resources and workshops, social media lesson plans, digital citizenship, cyber bullying and more! Educational Social Media (EdSoMe) was created as a result of “The Portland Project,” a pilot social media program in a middle school in Portland. Please tell us more about the Portland Project and the development of EdSoMe? Everyone on the team agreed that if we could create a solid learning community with social media tools, academic achievement and attendance level improvement would occur as a result. The cohesion and engagement of the students would reflect in improved grades, higher test scores and better attendance. After six months of piloting the social tools that were selected as cornerstones of the project, it was clear that the social aspect of the media and the tools was creating a positive effect on the students. School and assignment engagement levels were up, chronic attendance abuse was down, and the very fabric of the school social experience was shifting. Students were connecting to the school social network after hours to do assignments for no credit. Text messages were being sent to students via phone to ensure they made it to class. EdSoMe was created as a vehicle to document the project and deliver the results of the project to educators and administrators. We do this through our blog and through on-site social media workshops for educators. The site shares the saying “Budgets are tight, tools are free, the learning opportunities are endless.” What does this mean in relation to social media and the role of EdSoMe? KM: There is a vast amount of media resources available on the internet today. Giving students, teachers and schools the tools to deliver this media to students as part of the current curriculum makes these resources instantly social. EdSoMe’s role is to help teachers and administrators think differently about how to use these media resources to create collaborative and inspirational assignments which will help students utilize and enhance their core curriculum objectives. Learning has never been this media rich. EdSoMe wants to facilitate new ways to inspire students to learn! All of the social tools we used in the Portland Project were FREE. Free robust tools that can harness and utilize rich content for learning result in increased student engagement for no additional cost. The only roadblocks that remain then are knowing how to find the media, and how to deliver it to students in creative lesson plans to reinforce core curriculum objectives. READ Tired of Not Being Able to Communicate with Your Teen? There still seems to be resistance to social media in schools. Why do you think this is true? How is EdSoMe trying to address the issue? KM: There is definitely some resistance to utilizing social media in schools. I know that mobile phone texting has taken a huge amount of bad press (we consider texting as social). I believe this is mostly due to a general lack of understanding of social networking and media in general. Most people think social media is only Facebook and Twitter. The general view is that these are time wasters with no real educational (or other) value. I see this viewpoint a lot in the companies I consult with too. The only way to combat this resistance is through education of the staff! Once they understand the power of social tools and media in relation to their effort to teach, teachers become instantly pro-social. In Portland we encourage mobile phones, social tools, and social media. EdSoMe is trying to help parents and teachers understand that socially enabled classrooms can result in students that are educated in research skills, collaborative skills, media creation skills and networking skills. All of these skills are critical to participating in future schools, businesses, and life. The strength of EdSoMe Workshops lies in choosing the right tool for the needs of the specific district, school or classroom. How can EdSoMe assist schools in developing a Social Media program? KM: EdSoMe can help a school or district with analysis of current technology resources and teacher technology skills. From this data we can then determine a “best fit” of social tools to help schools leverage what technology they have to maximum benefit. All schools have different levels of technology implementation. Understanding what is possible is crucial in setting goals for a social strategy. Part of that strategy is identifying the proper social tools to fit a school or district’s technology abilities. Share some of the exciting social media tools currently used in schools. KM: We’ve found great success with Edmodo, Ning, Edublogs, WordPress, and GoogleDocs. All of these are free. Some have great features to facilitate assignment creation and delivery, and all of them enable linking and embedding of content. And of course, we leverage YouTube a lot as well. Many people don’t realize it is a social network. As a tool to foster creativity and deliver video content, it is unparalleled. If you have ever seen the Kahn Academy on YouTube, you would agree. What are your thoughts about cyber bullying in the schools? KM: Bullying is a social dysfunction, period. Whether it takes place on a playground, on the way home from school, or on a social network, it is a problem that everyone in the educational community, including teachers, parents, students, and administrators, all need to address. The fact that bullying over social tools is the newest form has caused it to gain some traction in the press. But it is like any other type of bullying. It requires education, awareness, and remediation. It is probably the main reason why any social tool we consider for school must have the ability to disable or not allow private messaging if at all possible. What is digital citizenship and how can schools prepare students to be responsible in today’s world of technology? KM: At EdSoMe we define digital citizenship as the behavior, image, and representation of a person in a digital space, i.e. a social network, a blog, a forum, or any other form of technological communication. Any post, picture, video, or text that is posted by a person in any of these technology spaces is an addition to their digital citizenship. It is a very important concept for students to understand. Every post, picture, comment or any other digital media posted by a student is added to his/her digital footprint. Helping students to understand the implications and possible repercussions of what they post, what they say, and how they portray themselves in the digital world is crucial to their futures. Many students are too young to understand the lasting power of their digital footprint. Schools stand the best chance of preparing students to be responsible digital citizens by enabling digital socialization at school so behaviors can be monitored and corrected. Parents need to participate here as well because as you know many students socialize from home as well. Educating, participating, monitoring and correcting digital interactions in a closed social system at school is the first step in helping students learn about digital citizenship. There are some great examples available that demonstrate the failings of bad digital citizenship. Just google “Cisco Fatty” or “Pixie Fail” to see some of the more notorious examples. Where can teachers find good examples of social media lesson plans? KM: Good social lesson plans are still being worked on across the net. We post some great plans that are a result of our social media workshops on our site at www.edsome.com and on our Facebook Fan page. Edutopia and Facebook on Education have some great stuff too. The best place to find great social lesson plans is by using Google Alerts to search for them while you work! That way they end up in your inbox and YOU don’t have to search. KM: Social networking and social media represent a fundamental paradigm shift in the way people are communicating. It is imperative that parents, teachers, and school administrators support the social media experience in a place where students can learn the benefits and risks of social media space. To deny them this experience and information in an environment of care and instruction is a disservice to their education. As humans, we’ve been social for millennia. The only difference is the digital venue, the reach and the speed at which information can be socialized. The social revolution is the biggest conversation in the history of man. Let’s help students learn how to participate in that conversation responsibly and productively.